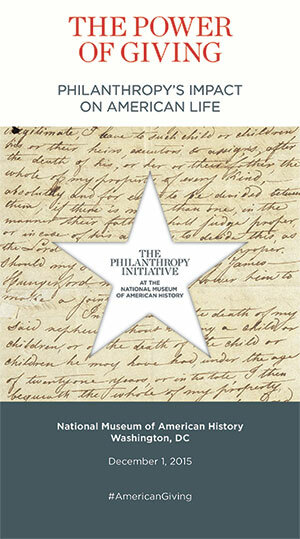 On December 1, 2015, the National Museum of American History launched its Philanthropy Initiative with its first annual symposium, The Power of Giving: Philanthropy’s Impact on American Life. 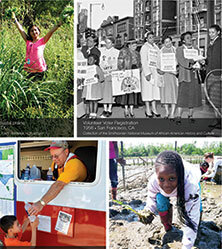 The program explored the past, present and future of philanthropy, broadly. Featured speakers included Warren Buffett, Nina Easton, Bill and Melinda Gates, John L. Gray, Nicholas D. Kristof, David Rockefeller Jr., David Rubenstein, Premal Shah, David J. Skorton, Henry Timms, Sheryl WuDunn, and Olivier Zunz. Jamie McDonald led a special community presentation from members of Baltimore’s nonprofit, foundation, arts, and education communities, including Ricardo Amparo, Carla Hayden, Sarah Hemminger, Joseph T. Jones Jr., Diana Morris. Chairman and CEO, Berkshire Hathaway, Inc.